Ron's Log: Are You Not Getting Enough TV? Are You Not Getting Enough TV? Amazon Fire TV, available now, $99. 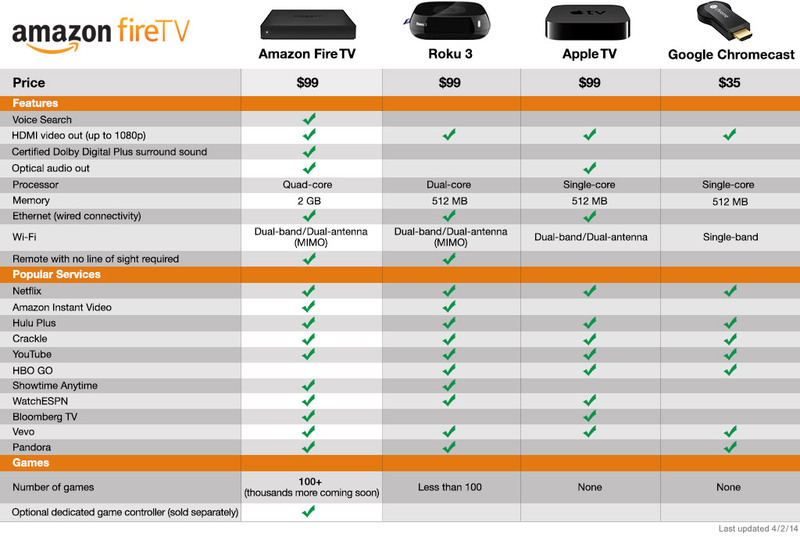 A chart comparing the Fire TV to Roku, Apple and Chromecast prepared by Amazon, so we know it must be complete and accurate. Sadly, the voice search only works for Amazon video.